November 2015 - Get Ready to Ride with the River Hawks!Get Ready to Ride with the River Hawks! I’m sure this seems incredibly obvious, but walking around Lowell can be one of the most reliable ways to get where you want to go. The vast majority of Down Town is about a 15 minute walk from East Campus. If you want to go at a faster pace than walking, try the Freewheelrs Bike Share. Any UML student can register to use one of these bikes, which are available at UCrossing, North, East, and South Campus. Simply check out a bike, ride around to your heart’s content, then return it to one of the campus stations. If you have your own bike, even better! There’s a Bike Shop located in the Campus Recreation Center, to not only help you maintain your bike, but also to teach you how to fix your bike yourself. Green North: East Meadow Lane Apartments, North Campus. Green South: East Meadow Lane Apartments, South Campus (Wilder). Locations that are in bold are stops available during night shifts only. The phone number to call Transportation with questions about shuttle locations and hours is 978-934-2596, and check out the Roadster Routes app for updates and GPS Locations of shuttles. Shuttles are great, but they can’t take you out of town. Luckily, there is a commuter rail located in Lowell. The Lowell Branch of the MBTA is located on Thorndike St. It’s roughly a 20 minute walk from UCrossing, and on weekends, you can request a Yellow line to drop you off or pick you up there. Tickets are $9.25 for one way, and $18.50 for round trip. The Commuter rail stops at Lowell, North Billerica, Haverhill, Wilmington, Woburn,Mishawum, Winchester Center, Wedgemere, West Medford, and North Station in Boston. Check out their website for updates and train times. No matter where you go on campus, you’ll see students with headphones in, listening to music. Whether they’re walking, eating in the dining hall, riding the shuttle or just doing homework, music helps them to get through the day. For me, music is what gets me up for my 8 AM’s, and continues to keep me motivated for the rest of the day. I usually listen to music while I walk from class to class and while I’m studying because there’s nothing like listening to your favorite song as you trudge to a Friday morning lab or when you finally stop procrastinating and make yourself do calculus homework. One of the biggest decisions when it comes to music is finding the perfect playlist to put you in an upbeat mood. Luckily, I have some great options to fuel your fire. It’s that time of year…You’ve all gotten comfortable with your rooms, roommates, classes, jobs and friends, and you’ve settled into your new lives at UML. However, another thing you’ve gotten comfortable with is hitting the snooze button over, and over again…until you’re late for class. Long nights of homework and other tasks can take a toll on anyone, especially college students. We have to learn how to balance our work, our classes and our social life and somehow still find time for sleep so we can be fully functioning the next day. Unfortunately, most days college students don’t get much sleep, leaving us stressed and exhausted. However, there are some ways to solve your sleep deprivation. The first and most obvious, is time management. Making a schedule and budgeting your time is the best way to get everything done, and still have time for other activities. One of my strategies is to try and get most of my homework done the weekend before it’s due, giving me extra time during the week to do other tasks (such as sleep) or study for a test. Even if you have a lot to do always remember to make time for yourself! Unfortunately, I can’t promise that your schedule will always go as plan, and a full eight hours of sleep may not be in your near future. So, here are some other ways to get up, and stay up. 1) Caffeine! This is probably the most obvious. When you wake up in the morning, drink a cup of coffee or tea to wake you up. You can also bring a coffee to class to give you a boost while you’re learning. Though energy drinks provide a lot of caffeine, try to avoid them, as they are filled with chemicals and not a healthy option. Lastly, remember to watch your caffeine intake, as too much can be bad for you! 2) If you can’t have caffeine, or don’t like coffee or tea, drink a glass of ice water in the morning to wake you up. 3) Set more than one alarm in the morning. Many times, you’ll hit snooze and fall back asleep, so setting more than one alarm will continuously wake you up. Also, put your alarm far away from your bed so you have to get up to turn it off. 4) Take a shower in the morning. It’ll wake you up! 5) SNACKS. Bring food to class. Obviously be respectful of your professor when eating. But, you can’t fall asleep while you’re eating, and the fuel will keep your awake and the blood flowing. 6) Naps are also one of the best ways to catch up on sleep. 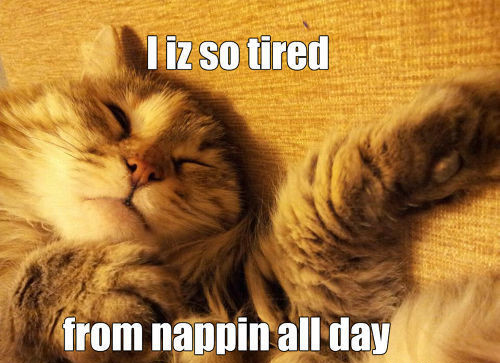 Napping for an hour in between classes re energizes you and can help you catch up on lost sleep from the night before. Just make sure your nap isn’t too long, or you’ll wake up feeling more tired. And with that, its time for bed. It’s that time in the semester, here the advising period has begun, and it’s time to get ready to sign up for classes. You all got a crash course on SiS and Enrollment at your Orientation session, but heres a refresher just in case. You’ll start by going on uml.edu/SiS, and clicking on Student Login. From here, you’ll enter your credentials, which is your student email and the password to that email, and select Lowell for a campus. Once your logged in, you’ll be able to see your student center. On the right hand side, you’ll be able to see the date you’ll be able to start enrolling for classes. You can then click the green button on the upper right side to start a search for classes. This is the Search Page. To begin a search for classes, make sure you are in the correct Term. For this upcoming semester, you want to select 2016 Spring. Next you will need to select the subject. Class codes used to be based on a numeric system, however this has just been changed. When you look up the first portion of the class code, it now begins with a prefix made out of letters. For this post, we will be using an Atmospheric Science course called Weather Forecasting Seminar as our example. In this case, the prefix is ATMO. ATMO is put in the box next to the green button that says ‘Select Subject’. The next part of the code for Weather Forecasting Seminar is 1020 is entered in the box next to where it says ‘Course number’. Finally, you want to select your course career, which will be for undergraduate, graduate, continuing ed, or online. Keep in mind that continuing ed and online courses come with an additional fee. Once you’ve clicked search after entering all the criteria, you will see a list of the courses that match your criteria. Here we have the course listing for the Weather Forecasting Seminar. We can see the days and times the course will be meeting, the campus the course will meet on, the instructor, and the beginning and ending dates of the course, as well as the status of the class. The green circle signifies that the course is open, where as a yellow triangle would signify the class has a waitlist, and a blue square shows that the class is closed. From here, you will click select. This is the next page that will pop up. Here you can see the number of credits available, enter a permission number if you have it, and click to join a waitlist. When all of this is filled out to your needs, click next to add the course to your enrollment shopping cart. The course is now entered into your enrollment shopping cart. You will want to add all of the courses you want to take to your shopping cart before enrolling for your classes. When your enrollment date arrives, you can go to your enrollment shopping cart, select your courses, and click the enroll button. You’ll then be able to if you were able to successfully enroll into your courses. Make sure you go through the courses you need to take with your advisor. Plan your courses ahead of your enrollment date. Remember that you need to take a minimum of 12 credits each semester to qualify as a full time student. Finally, remember to stay calm, and be prepared to ask questions if you need to.